1. Warranty applies to wrong product or factory defects only. Buyer will pay the delivery costs of the return and any re-delivery to you. We will not refund initial delivery or credit/debit card costs. Please contact us for the approval of return and for the amount we would deduct from the refund. Please email Calibre Australia the serial numbers on shaft and date/area code on cone of the damaged racquet, alongside at least 3 pictures showing clearly the damaged area, and a brief statement on how the racquet was broken. The pictures will be forwarded to the manufacturer. The manufacturer may require you to return the damaged item for closer inspection before granting any warranty. If you decide to return the damaged racquet for closer inspection, please return it to Calibre Australia. 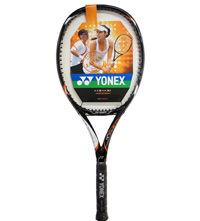 Returning the damaged racquet DOES NOT guarantee a successful granting of warranty. Calibre Australia will bear the postage of forwarding the damaged racquet to the manufacturer for inspection. If warranty is granted, the customer will pay the delivery costs for the return of the replacement racquet to his/her address. For additional information on manufacturer warranty for a specific product, please contact us by email. At the end of the order process you will be sent an email confirming your order and also an "Order Number". If you are paying via Bank Transfer, please use your "Order Number" as the payment reference so we can identify your order. We will also send you an separate Invoice with the delivery of your order. Please keep both references in a safe place as you may need to quote the Order and/or Invoice number when dealing with us. IMPORTANT: If you have purchased a racquet from us, the Invoice we send to you will contain the serial number of the racquet. You will need to quote this serial number when dealing with us.